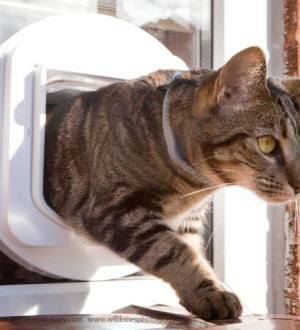 Tired of getting up and down to let your cat in and out? 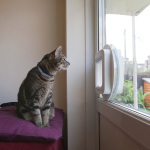 Worried when you go out about leaving your cat inside? Going on holiday and want piece of mind your cat is okay at home? Aaran Glass are here to help. 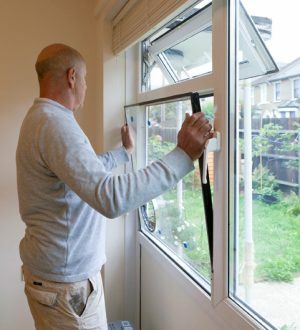 Here at Aaran Glass we have over 35 years in the glass and glazing industry. 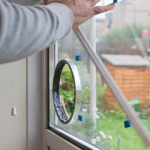 We are able to fit cat flaps into single glazed, double glazed, laminated and toughened glass, both in windows and doors. We offer a variety of glass for you to choose from, whether you want a clear panel or a patterned piece to match your existing glass, we will endeavor to get you the glass you require. 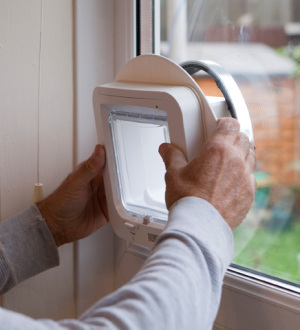 Your cats safety is paramount to us which is why any glass fitted will be put back in a toughened safety glass. All our cat flap double glazed units come with a 5 year guarantee against the misting up of the unit. 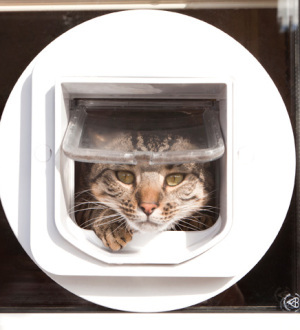 We are a recommended fitter of Sureflap Microchipped cat flaps. Aaran Glass have glaziers strategically located throughout London, Greater London, Essex, Hertfordshire, Kent, Surrey and surrounding areas. 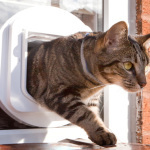 The way it works: You choose the best cat flap to suit your cats needs, from the basic 4 way locking cat flap, to a microchip or a magnetic cat flap – as long as it has a circular hole we can fit it for you! 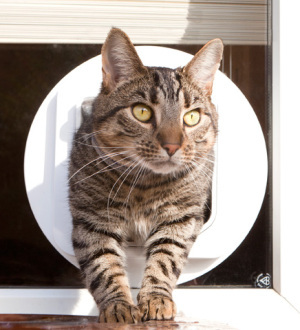 Alternatively we can provide you with a cat flap to suit your needs. 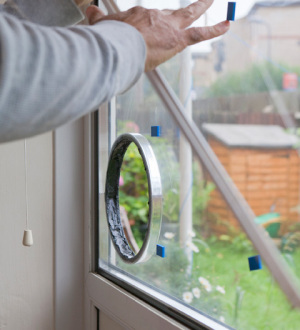 We will then arrange an appointment to suit you to come and take precise measurements for your new glass panel, single or double glazed, and with our friendly staff discuss any requirements that you may have. 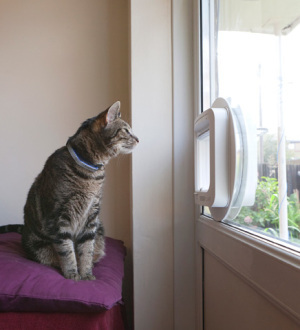 The glass will then be cut at our factory and toughened so its nice and safe for your furry companion, it is then manufactured into a unit if double gazed before its ready for fitting. 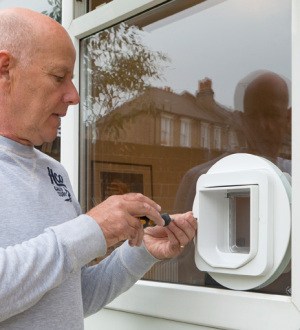 After making an appointment to suit you, we will then re-attend your property and remove the existing glass pane and refit the new glass pane, fitting your cat flap for you at the same time! To receive a free quotation or to book an appointment call us on 0800 740 8163 or simply fill in our online quote form below and we will get back to you via email with a price. Would you like us to supply the catflap?